You will have a chance to meet and greet our Best National Baseball Players and also to see them play. 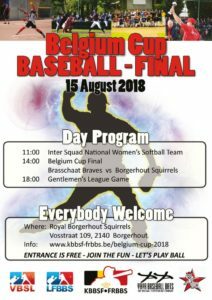 A unique opportunity in Belgium for every Baseball Fan ..... See you at the Ballgame! Join the fun - Everybody is welcome! 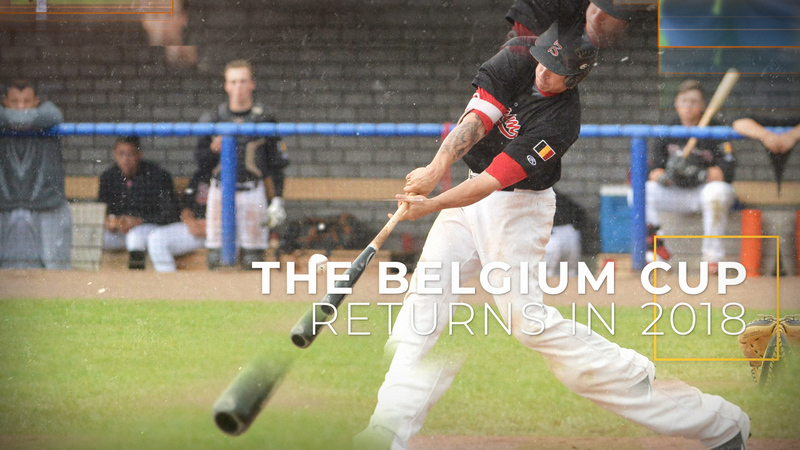 Belgian Baseball and Softball is on the up and up. Time to reinstate The Belgium Cup. 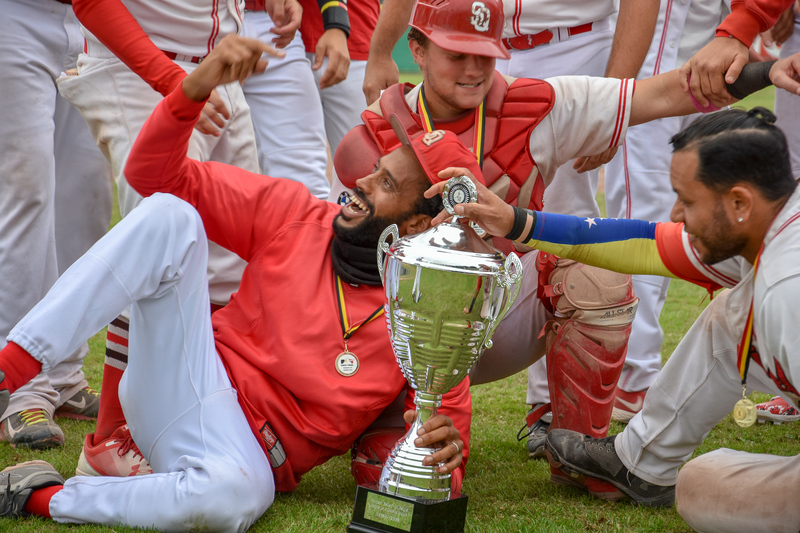 The main goal is Baseball & Softball Promotion in Belgium and Europe. We have better teams and players than ever before. People should know this and have a chance to watch a game nearby. So play will be near you and throughout the country. 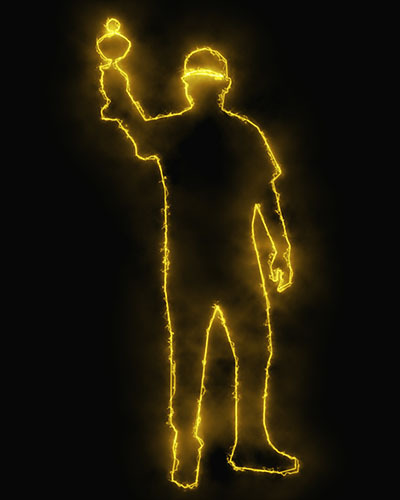 All Gold League and First Division teams must enter. 2nd and 3rd divisions teams may do so voluntarily. To ensure evenly matched and exciting games, the highest division team will visit the lower ranked team. For all clubs, their members and fans it will be exciting to have a Gold League or 1st Division Team have come and play at their ballclub. 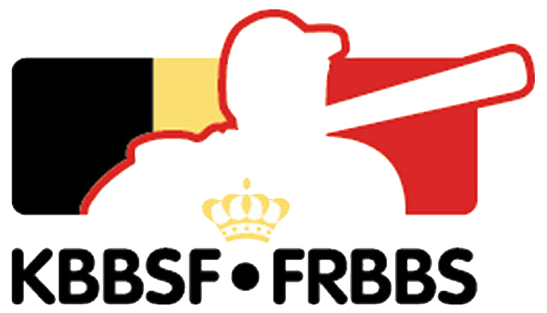 To match things up some handicap points at the start of each game are given; and play of Belgian pitchers is encouraged* (*see BC2018 rulebook). The Final is played by the two teams who will win all of their elimination rounds. This year’s Final will be an exciting one with lots of extra’s going on! Join the excitement at Squirrels Ballpark!